Tacoma Public Library’s local history, genealogy and special collections are located in the Northwest Room in the Carnegie Building - 2nd floor (C2) of the Main Branch. The Carnegie building is the original 1903 Carnegie Library and the collections and services are dedicated to providing the most comprehensive and accessible local and regional history information available to the public. 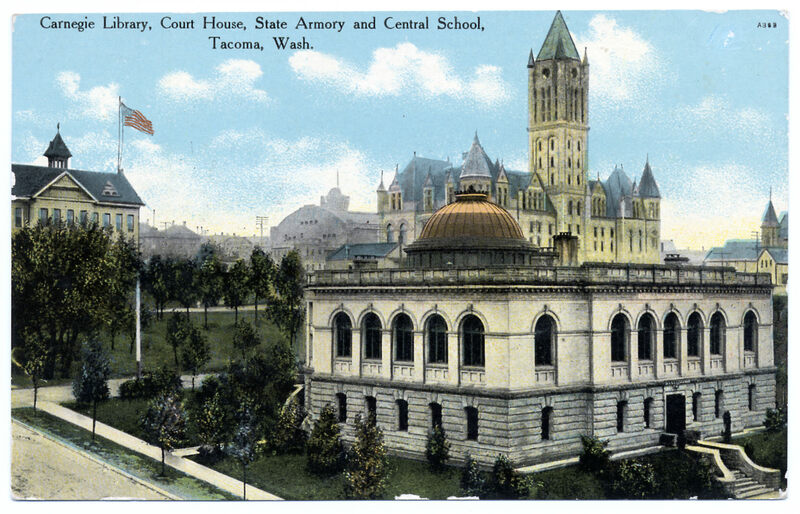 Our collections feature Tacoma city directories dating back to 1885, early to current newspapers, record indexes, maps, photos, postcards, manuscript collections, architectural plans, and much more. The Northwest Room also houses the library’s Genealogy Collection with materials to help anyone interested in doing genealogical research. In addition to a rich selection of local resources, the collection covers all areas of the United States and other countries, with especially strong coverage for New England, the Midwest and Southern states. Stop by anytime during Main Branch open hoursopens a new window, or contact us with your questions by phone at (253) 292-2001 ext 1605 or email us at nwr@tacomalibrary.orgopens a new window.